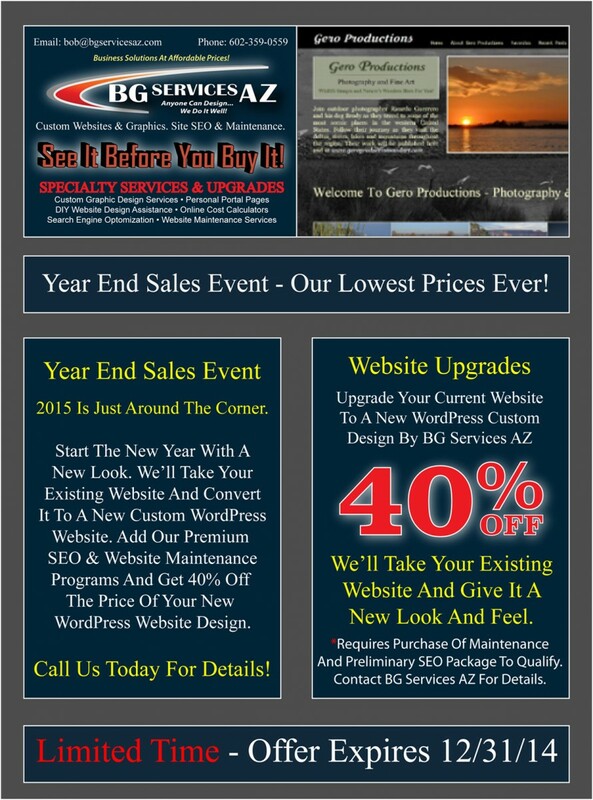 Get your new custom WordPress Website or a Generation 3 Online Cost Calculator from BG Services AZ during our September Sales Event and take advantage of the big discounts on our already low prices. Act Now! This offer expires December 31, 2014. 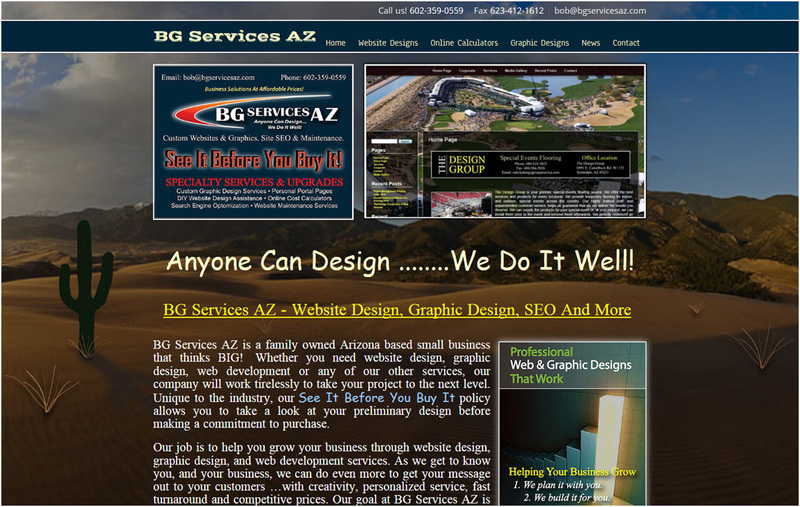 BG Services AZ is pleased to announce the release of our new website. We combined our existing core website, blog site and online calculators into one new seamless website. We gave it a fresh new look with user-friendly navigation. 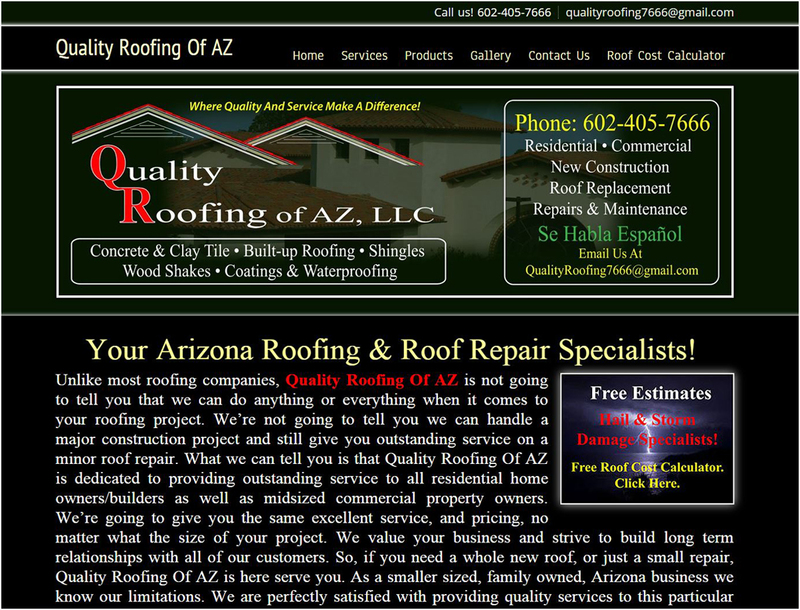 The pages have been updated with the latest information about our products and services. We hope you enjoy the new look, and feel, of our design. Take a few minutes and test drive our new site. As always, your comments and suggestions are welcome. 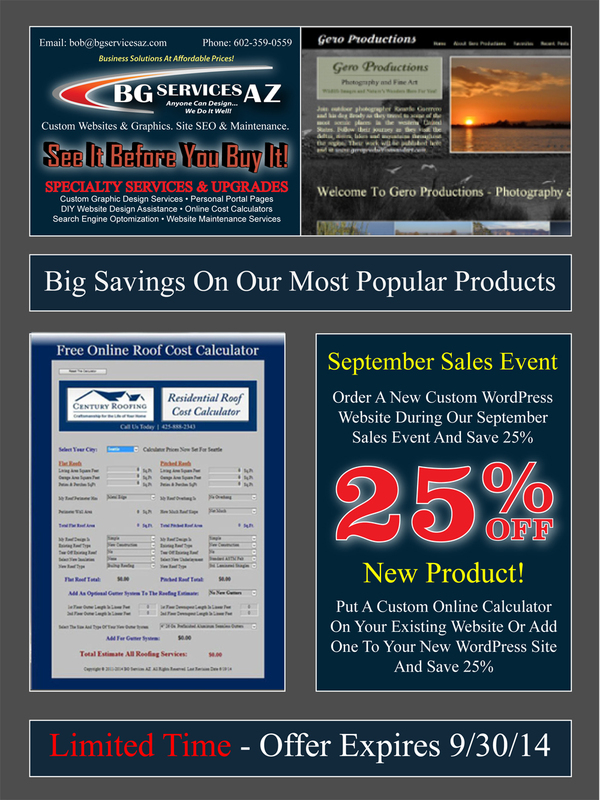 Get your new custom WordPress website or a Generation 3 Online Cost Calculator from BG Services AZ during our September Sales Event and take advantage of the big discounts on our already low prices. Act Now! This offer expires September 30, 2014.